As a back of the envelope plan, it wasn’t a bad one, just a bit sparse on details. 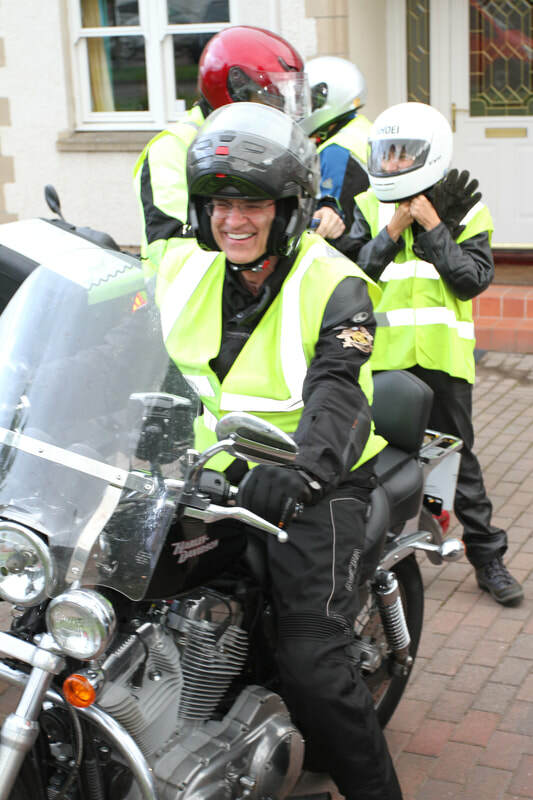 Gather up some equine vets who also ride motorcycles, and ride to all the UK vet schools to give CPD talks and raise money for overseas equine charities. How complicated could it be? The seed of the idea came to Professor Derek Knottenbelt after he won a Harley Davidson motorcycle in a raffle. Most people who won a motorcycle in their 60s would just sell it, but Derek being Derek, along with some prompting by a grandson, decided to learn to ride. Derek’s philanthropic side then took over and he decided to find a way to use his new hobby to raise money for charities. So he got on the grapevine and recruited the first few bikers: Josh Slater, John Burford, Jessica Kidd, Caroline Hahn, and they recruited others; in 2010 the first Horsepower CPD set off from Liverpool and rode 1500 miles in one week, visiting all the vet schools (except Dublin, in Eire, who weren’t happy to be left out, so they were first on the list for 2011). The trips definitely have an endurance element: riding long miles and then usually going right into the venue to begin the talks. So the entire trip is either riding, speaking, listening to other speakers, or sleeping but the challenge is one of the draws for all concerned. Because there are people and animals around the world that need our help. There are many charities, big and small, that work in their local areas and do what they can. Some of these charities need help finding the funds for one of their dreams, a specific piece of equipment or project that will give visible results improving many lives. Because there are people around the world who care, and who would kindly give what they can, if only they knew the need was there. Because there are vets who, like every other professional, wish to keep their knowledge and veterinary training up to date. Most vets attend lectures and practical sessions at conferences or other CPD training several days to weeks per year. This is part of their yearly CPD, because vets are a people that take pride in what they do and want to work to the highest standards. They care about others, and like that their CPD fees and any funds raised on our CPD days fully go the charities that need it. Because there are companies that produce high quality veterinary equipment, medication or services. To get their product seen by other vets, they will need to advertise to vets and this can be expensive. They like that on our tours, their logos and information get seen by a large number of vets along our route but also around the world, and all their sponsor funds go straight to the charities. Because there are veterinary practices, big and small, that care about those who need our kindness. They are looking for a way to help those in need. As different practices can have very different setups, their style of helping others is never the same. Some larger clinics are able to provide sponsorship, others can set up a charity box or organise a client evening. Vets with Horsepower is a registered charity in Scotland, and has received a 'point of light award' from the UK government, PM Theresa May.